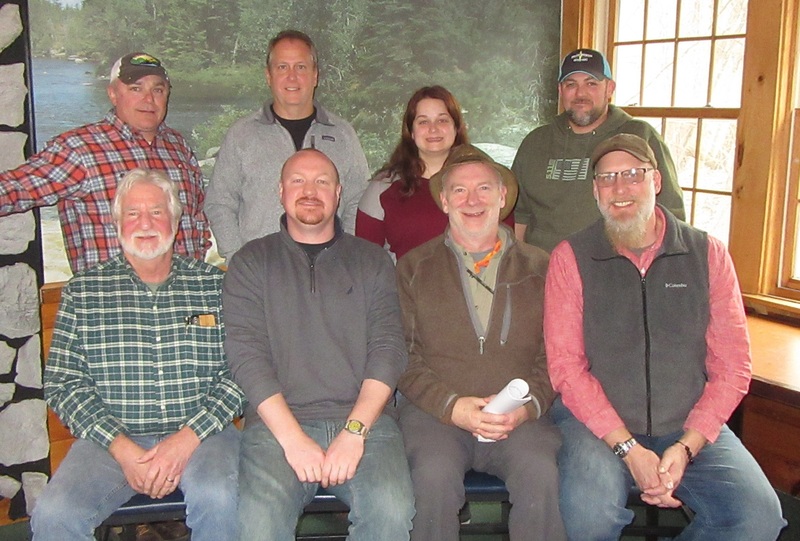 Outfitters and EMHR staff members who met in Falls on Jan. 12 to schedule paddling adventures and festivals along the North Branch Susquehanna River this year included (seated, above, from left) Dan Shay, Cain Chamberlin, Charlie Adams, Dana Rockwell, (standing) Brian Swingle, Art Coolbaugh, Emily Rinaldi, and Keith Brown. The Endless Mountains Heritage Region (EMHR) serves as the official manager of the North Branch Susquehanna River Water Trail, which is part of the National Park system. Working with local recreational outfitters who double as trail managers for their respective sections, the EMHR has been able to coordinate paddling and camping adventures to get people out on the water and teach them the history and environmental aspects of river. 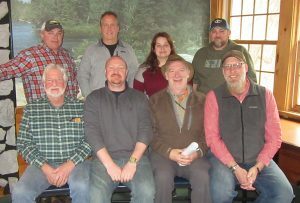 “As water trail manager for the Susquehanna’s North Branch, the Endless Mountains Heritage Region works vigorously to host and organize events like these sojourns, which educate the public on this beautiful natural resource and how to kayak and canoe safely upon it,” said Cain Chamberlin, executive director for EMHR. The first of these each year is an adventure geared to high school students in the region. 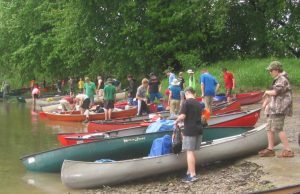 Slated for Thursday through Saturday, May 16 to 18, the 2019 Youth Heritage Sojourn will cover stretches of the Susquehanna River between Wyalusing in Bradford County and Vosburg Neck in Wyoming County. Participants will meet on May 16 at Camp Lackawanna on Vosburg Neck, which will serve as base camp for all three days. 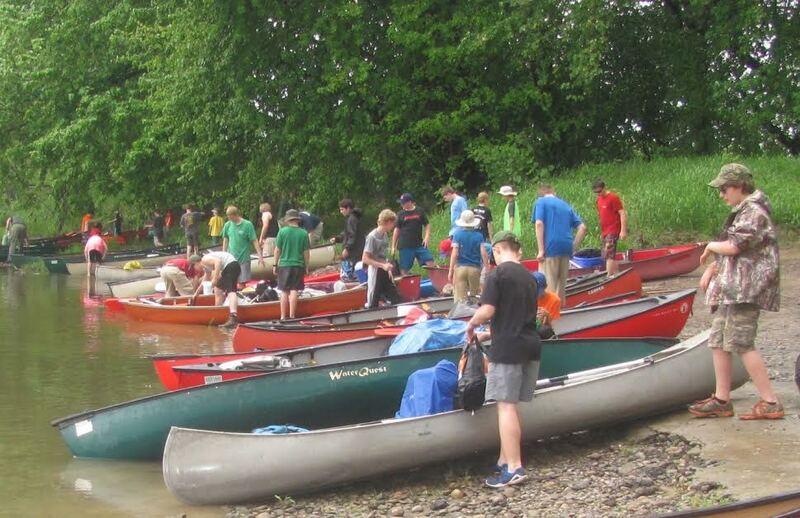 During the youth sojourn in May, students will be shuttled to and from launch points and make various stops along the river for presentations by historians, environmentalists, and Fish & Boat Commission officers and enjoy live entertainment by Grapefruit Cannonball, an alternative rock band from the Towanda area. Food, which includes catered dinners each evening, is included in the cost of the trip. The youth sojourn is coordinated primarily by Keith Brown, a Towanda High School teacher and owner of Endless Mountains Outfitters in Sugar Run. He will be joined on the journey by EMHR water trail manager Emily Rinaldi and other EMHR staff members. Homeschooled students, Scouts and church youth groups are welcome to participate, and Brown is also seeking adult chaperons. Students with musical instruments are encouraged to bring them, as each evening’s campfire session before lights out offers an opportunity for the youths to express and entertain themselves. The cost of the entire trip is $125, which includes kayak rental and daily transportation. Accommodations can be arranged also for students and chaperons who are unable to commit to the full three days. There is no rain date. 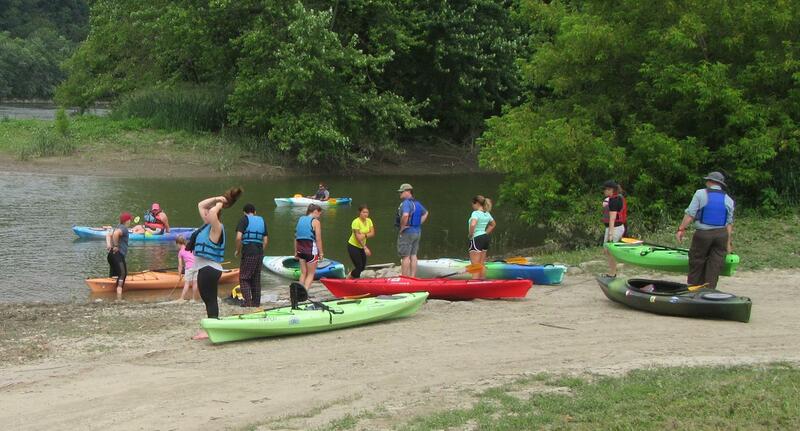 If the weather is not suited for kayaking, participants will spend more time enjoying the amenities at Camp Lackawanna. If the river is too high, kayakers will be shuttled to area lakes. Past EMHR sojourns were made possible through grant funding from the Pennsylvania Organization for Watersheds and Rivers (POWR). The EMHR will apply for another POWR grant this year to cover some of the additional costs for the 2019 Youth Heritage Sojourn, but donations from the community are greatly appreciated. For a detailed itinerary and an application form, contact Brown at kbrown@tsd.k12.pa.us. Dates and locations for additional sojourns will be posted on the Endless Mountains Heritage Region Facebook page.